The 2017 Youth Volunteering Innovation Challenge (YVIC), under the theme “Impact ASEAN,” supported young innovators throughout the ASEAN region in their journey to catalyze youth-led innovation for social impact. The teams were required to integrate volunteerism or volunteers into their projects. Three initiatives were awarded with grants worth up to US $10,000 and mentorships from SAP, a market leader in enterprise application software. The initiatives awarded under the Youth Volunteering Innovation Challenge featured youth engaging volunteers to address social issues with the help of private sector volunteering – the SAP staff members who provided mentorships were also volunteers. The three-month mentorships enabled grantees to scale up their projects in the areas of environment, people with disabilities, and women’s economic empowerment within urban contexts, with a focus on leveraging volunteering for the localization of the Sustainable Development Goals (SDGs). The mentorships wrapped up at the end of November 2017, at which point the three winning teams submitted narrative and financial reports on their project growth and development. 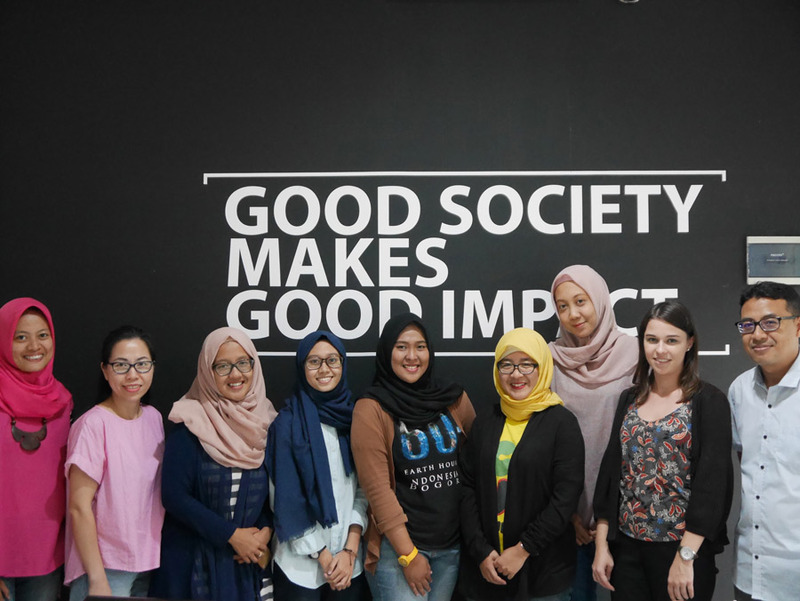 In December 2017, representatives from ASEAN Foundation and the UNV Regional Office in Bangkok carried out a monitoring mission to Indonesia and the Philippines to monitor and evaluate the impact of the programme. Tune Map is a mobile platform that collects data to help navigate the city for the visually impaired in Indonesia. Volunteers report inaccessible pavements by uploading pictures of obstacles they found on the pavements, and the shared information is transmitted via voice and vibration features to visually-impaired people who are registered on the platform. "Without YVIC, there would be no Tune Map. We struggled a lot to find people to build the application, since nobody in the team had an IT background. Some of the seed funding was used as a small payment for programmers based on our needs. Now, they come up with initiatives for development and even act as volunteers, for example, by building our website for free." As a result of the grant and mentoring, the team is now working with more volunteers. Tune Map trained a large number of volunteers who took to the streets of Bandung to map the sidewalks and report any damage or obstacles on the application in the MapMyDay event organized by Tune Map team in December 2017. Some 75 young people became volunteers to continue reporting pavement damage and obstacles, as well as help with events. Ecofun Indonesia created a board game, Ecofunopoly, to raise awareness of environmental issues, such as the importance of separating wastes by materials, reducing the use of plastic bags during shopping, and preserving water. The board game is entirely made of recycled paper and is available in two themes, five languages and two sizes. Using the YVIC funds, Ecofun was able to produce 1,000 new Ecofunopoly Waste Edition game sets and earned sales revenue of around US $1,700. During the mentorship period, Ecofun created an official structure for the Ecofun Community for the first time based on the mentor’s advice on strategic business development. Volunteers play a critical role in educating the community to change their behaviours to protect the environment, such as by presenting the board game during project days, events and in schools and other institutions. “We have successfully increased our volunteer members in Ecofun Community. Before August (which is when the mentorship period started), our volunteers were only 15, but now we have 54 active members,” explained Ms Annisa Arsyad of Ecofun Indonesia. Nino Nina Co. works with an urban poor community in the Tondo neighbourhood of Manila, the Philippines, located near one of the biggest landfills of the area. The project engages women who are skilled in sewing and produce textile products. The YVIC funding enabled the team to purchase additional sewing machines which not only increased production but also expanded the capacity: previously, the Nino Nina Co. workshop was only able to produce fabric-based goods, whereas the new machines can be used on tougher materials such as leather. The team also received advice on marketing capacity and strategy from the mentor, SAP. During the monitoring mission, different city government representatives and Nino Nina Co. consulted on expanding the operations sites, with the support of UNV Philippines and SAP. Ms Maria Carmela Suarez of Nino Nina Co. commented, "Over the past three months, Nino Nina Co. has been able to improve on its assets and extend its partnerships with various organizations, thanks to the funding and mentorship courtesy of UNV and SAP." YVIC was extraordinarily successful in its reach and engagement: close to 5,000 young people accessed the regional application form alone. The three winning projects all address urgent issues in urban contexts: waste management and environmental action; accessibility for persons with disabilities; and providing income opportunities for the urban poor, especially single mothers.